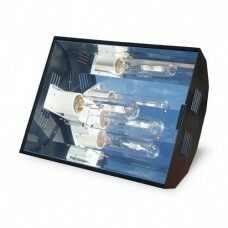 Bali Sun™ Series Metal Halide Mogul E39 Pendant Lighting System Powerful Metal Halide lighting brings out the vibrant coloration and beauty of your aquarium inhabitants. It provides the best coral growth and most closely imitates natural sunlight. 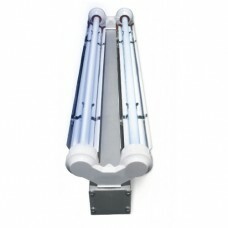 Achieve better coral growth than LED..
Cebu Sun™ System Metal Halide & 4 x T5 High Output (HO) Fluorescent System The Best Lighting for Your Aquarium. 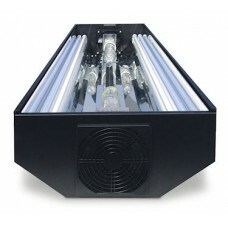 Metal Halide full spectrum lights are recommended by experts as ideal for proper growth and development of coral, anemones and invertebrates. 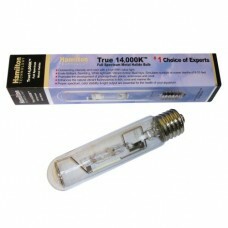 BEST Performance • BEST Spect..
Metal Halide the Best Lighting for Your Aquarium True 14,000K™ Ideal Choice for Marine and Reef Aquariums Outstanding intensity and color with a high PAR value light Emits Brilliant, Sparkling, White light with Vibrant Actinic Blue rays Simulates sunlight at ocean depths of 8-20 ft .. True 14,000K™ Ideal Choice for Marine and Reef Aquariums Outstanding intensity and color with a high PAR value light Emits Brilliant, Sparkling, White light with Vibrant Actinic Blue rays Simulates sunlight at ocean depths of 8-20 ft Promotes the development of photosynthetic plants, ..
Aruba Sun V™ Series T5 High Output (HO) Fluorescent Retrofit Ultimate Lighting Upgrading your Aquarium Lighting is Easy LED Moonlights are optional Versatile: install 1, 2 or 3 Aruba Sun Series T5 HO pairs side by side or staggered in your existing aquarium hood German mirror fin..